Each and every single day for the past four months, I've thought about the different reasons I began my weight loss journey. Making the right choices, staying focused and having the support of family and friends all play an important roll on the path to my success (or failure). Last week, the librarian at my kids school asked me if she could talk to me about something... I'll admit that I assumed it was going to be about helping her with something at school. I'm an active volunteer and at school every school day, so it comes with the territory. To my surprise, it wasn't about school at all... she wanted to know what I was doing to lose so much weight! I thought it was cute when she asked me if I could share my "secret!" Of course, I was thrilled to tell her that I was on the Nutrisystem program, and how excited I was that it was working for me! She then admitted that she's been wanting to ask me for a few weeks, she was just trying to figure out the "right way" to do it! Although I'm not losing weight for anyone else... it's so rewarding when others take notice! That keeps my total weight loss at 40.4 pounds! Was I disappointed this morning when I stepped on the scale? Absolutely! In a perfect world, I'd love to see a lower number on the scale every week. After all, that is what I'm working towards right now - a 50 pound weight loss. Am I going to let this week's results get the best of me and throw me off my path to reaching my goal? No way! I know that my journey is going to have bumps, detours and obstacles - but they aren't going to define my success. I'm going to deal with them head on and keep on moving forward - no more looking behind me! 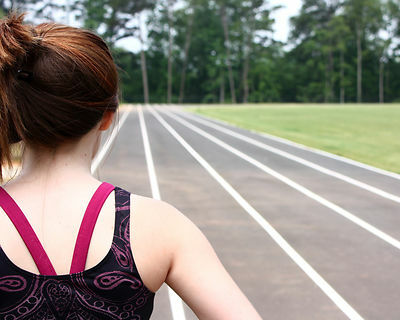 What are your tips for getting past a weight loss plateau? Way to think positively about it. 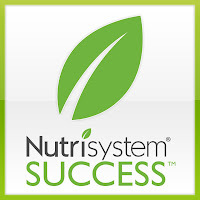 I've been on Nutrisystem for 17 weeks now and I've definitely had my plateau weeks here and there. Keep up the good work, here's to bigger loss numbers next week! 40 lbs is still a huge accomplishment, congratulations! You're doing great! 40 pounds is a great accomplishment and I think it's harder to manage around the holidays when there's so much stress, hustle and bustle. I'm sure you'll get over the plateau in no time. Congrats on losing 40 pounds :D thats amazing. Im def going to look into trying this. I'm very proud of you for maintaining such a positive attitude despite not seeing a number drop on the scale. I agree with everyone else... 40lbs in only 4 months is a huge accomplishment, much more than a lot of people manage to lose. I love that the librarian noticed such a change & wanted to know your 'secret' - can't wait to read next week's update so I can see a DROP. Keep going strong! Don't get discouraged - you are doing fantastic!! 40 pounds is an amazing accomplishment! You are so close! It's wonderful though that you didn't get down and understand it's a process. That's a big step in making a lifestyle change like this. Good for you for going in the right direction. Keep it up! I personally think you are doing great!! Keep it up; amazing job! 40 lbs is awesome! Any week you don't gain is a plus in my book. You are doing amazing, and even without those numbers, I bet those clothes are just falling off of you! Congrats on the 40 pounds!! I love your attitude. Don't let this get you down! Next week you will def see it go down more. Keep drinking that water and staying super active! Amazing! Your attitude really helps. You must look fabulous. 40 pounds is AMAZING!!!! Keep going!